Successful property management is about more than just attracting prospects and showing properties. It’s about closing the deal and landing those quality tenants that will stay for the long haul. Do you have a strategy for how to really sell your properties while you’re doing an initial walk-through? If not, you need one and the sooner the better. Here are a few tips to help you reel in your ideal renter during that crucial first meeting. Get your property in tip-top shape before showing it to anyone. Stage each room to give it a homier, more lived-in feel. Light candles that have a warm, inviting scent, like vanilla or apple pie. Whatever you can do to make the atmosphere appealing, do it. The more work you put in ahead of time, the sooner you’ll get the place rented. Take your customer service to the next level with The Property Manager's Guide to Creating an Extraordinary Customer Experience. 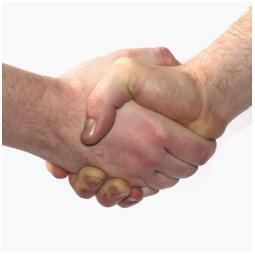 Be prompt for your appointment, smile, shake hands and start building a rapport with your prospects. Consider the fact that these people may end up as your tenants for a long period of time and look at the first meeting as a chance to start establishing that relationship. Show your prospects you’re attentive and you care, and you’ll go a long way toward winning them over. Being pushy probably isn’t going to get you very far, so try a different approach. Pick out a handful of your property’s best features and highlight these during your walk-through. If possible, tailor your pitch to address the unique needs and wants of each potential tenant. For instance, if you’re showing the property to a family with young children, you may want to showcase how close the home is located to area schools and other kid-friendly activities. You’ll be asking a bunch of questions from your potential tenants via your application. Don’t forget to see if they have anything weighing on their minds as well. And always leave enough time for each appointment so that your prospects won’t feel rushed or unheard. Whether or not you choose to rent to someone, it’s always good practice to follow up either way. For those prospects you are interested in, it’s an opportunity to answer additional questions that may have come up and keep you at the top of their minds. It also lets those you haven’t selected know that they need to continue their search, while fostering mutual respect. You never know if you will end up renting to them at some point in the future. If you do, they’ll remember your thoughtfulness in following up the first time around. These are a few simple things that you can start doing today to get your available properties rented to quality, long-term tenants. What techniques have you found to be successful that aren’t listed here? Take your customer service to the next level! Get your free copy of The Property Manager's Guide to Creating an Extraordinary Customer Experience.